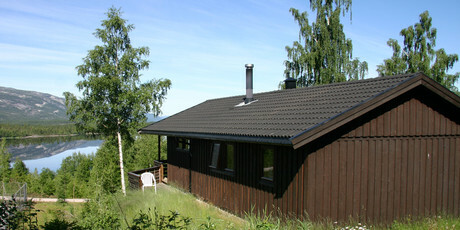 Vrådal Hyttegrend consists of 20 comfortable wooden chalets, complete with saunas. 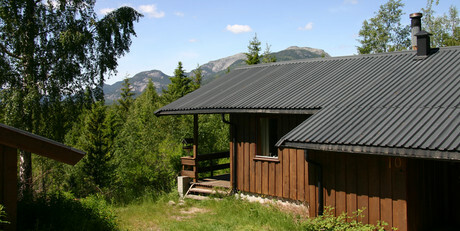 The chalets are designed for two families sleeping 8 persons. 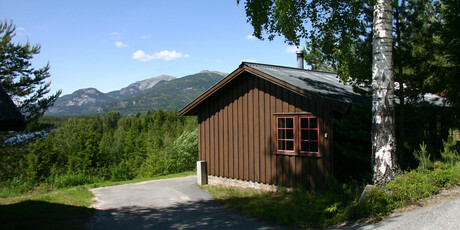 The village overlooks Lake Nisser in a quiet and children safe environment. 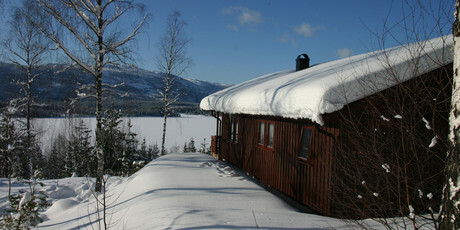 In the winter the guests enjoy the warm and cosy chalets with wood burning stoves. The logs are free of charge. 7 km to alpine slopes. Our guests can use the swimming pool facilities and activities at the Straand Hotel at a fee. In the summer time, children at Vrådal Hyttegrend enjoy the bouncing pillow, guests enjoy the tennis court, the possibilities of rowing, canoeing, bathing and fishing.